A Free Service helping families find the Best Senior Living Communities in their local area. 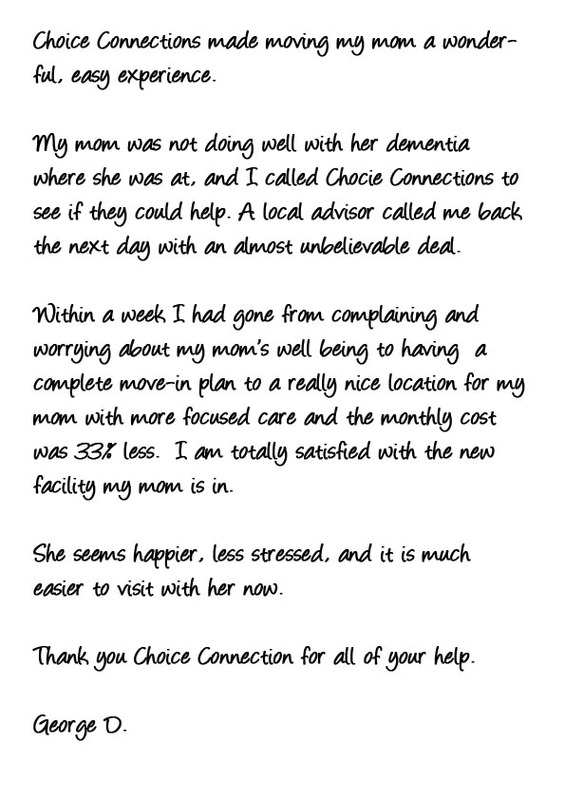 Choice Connections is your trusted local source for information, advice and guidance about Senior Housing, Independent Living, Assisted Living, Memory Care, In-Home Care and Senior Support Services. We are committed to helping seniors and their families find the most appropriate answers, solutions, services and providers for their unique needs. 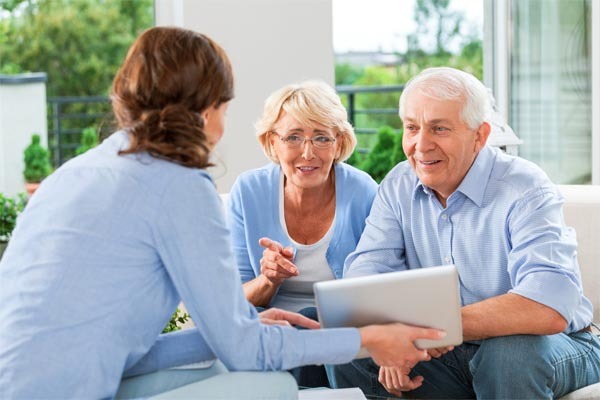 We connect you with communities, caregivers, consultants and compassionate senior services professionals to help you explore and understand the most appropriate senior living, senior care and in-home care options. Ready to Get Started in Your Search? What Senior Living Option is Best for your Loved One? Get Free, Personal Assistance from a Local Advisor. Assisted living is typically defined as a long-term care option that combines housing, support services and health care. Assisted living is designed for individuals who require assistance with activities of daily living (ADLs), medication management and personal assistance. Independent Living Communities are housing environments designed exclusively for seniors, typically those aged 55 and older. Housing types vary from apartment style living to free standing homes, and may or may not provide hospitality or supportive services. A memory care environment is designed for persons with a level of cognitive impairment making it unsafe for them to stay at home. Allowing the individual to maintain a level of independence while relying on the safety and security of being in a residential facility with professional staff. Residential care homes provide long-term, in-home care to small groups of seniors who require moderate assistance with activities of daily living, but less care than skilled nursing facilities (aka nursing homes). The biggest difference is more personalized care and staff attention because there are few residents. Skilled Nursing facilities are generally reserved for those who need ongoing, daily medical services or to provide short-term rehab services. Skilled Nursing communities, or nursing homes, have medical nurses on staff 24 hours a day and coordinate with physicians for more in-depth health needs. The term “In-Home care” encompasses a wide range of health and social services. These services are delivered at home to recovering, disabled, chronically or terminally ill persons in need of medical, nursing, social, or therapeutic treatment and/or assistance with the essential activities of daily living. Let us help you in your search for the “perfect fit” senior living and care options. 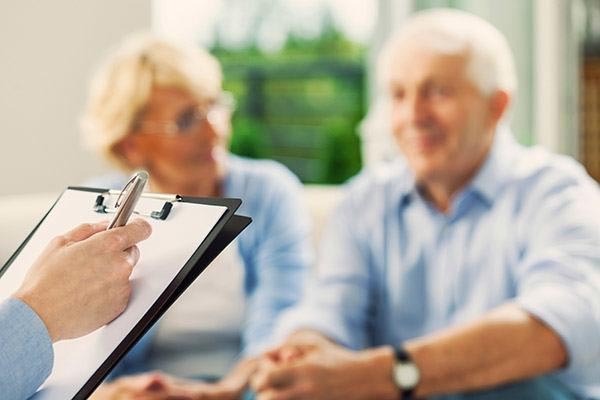 Use the “FREE CONSULTATION” button at the top of the page to receive a free needs assessment with a caring local senior living advisor in your area. I just wanted to send you a personal thank you for helping my wife. It was a difficult situation for everyone, as you know. It was quite frustrating for me, being home and unable to help her when she needed it. So it was a great relief to me to know that there was someone there at that end who was in her corner. Thank you again, I appreciate it very much.